Richard Mear’s litigation practice is driven by his desire to obtain effective and efficient results for his clients. His common sense approach is grounded in a complete immersion in his clients’ businesses, goals and products. Richard’s practice includes defending corporations in premises liability matters, product liability matters (including medical devices), and toxic tort matters involving asbestos and benzene exposure. 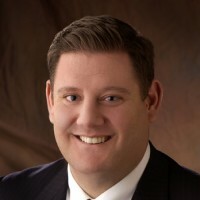 He also has significant experience in cases involving transportation/trucking claims, construction defect claims, professional liability, medical malpractice, and in commercial business disputes involving claims of officer and director liability. Mr. Mear has extensive experience in all aspects of litigation including trial, mediation and arbitration. He has first-chaired and second-chaired several jury and bench trials to defense verdicts. Mr. Mear first-chaired a month-long products liability trial in Federal Court and obtained a defense verdict for his client, despite the plaintiffs’ initial demand for $30 million and $12 million pre-trial demand. In February of 2017, Mr. Mear concluded a two-week jury trial to defense verdict, which included an award of Rule 68 sanctions.